In a large saucepan sauté the garlic, onion, celery, and peppers in the olive oil, over medium heat, for five minutes, stirring often. Add the tomatoes, all of the spices and the agave, and one cup of the water. 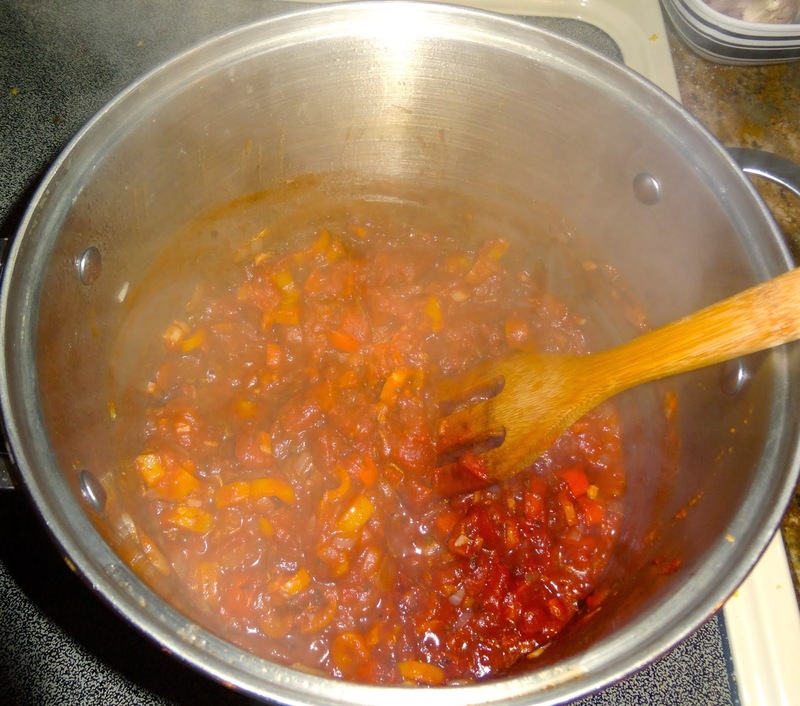 Reduce the heat to low and continue cooking the mixture for fifteen more minutes, stirring often. Remove the mixture from the heat and add the rest of the water and the vinegar. Allow the mixture to cool for thirty minutes before carefully transferring it to the blender or food processor. 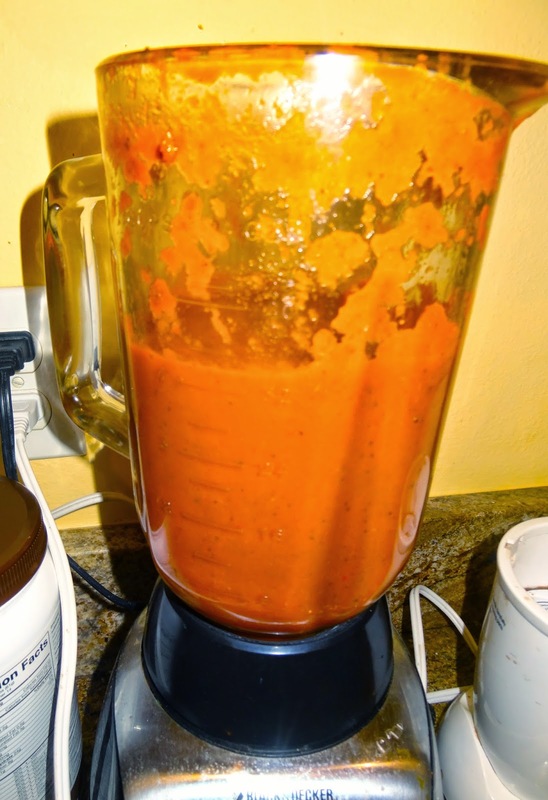 If the ketchup is not adequately cooled when you blendit, it will expand and blow the top off of the blender and make a big mess, so make sure that it has cooled down before processing. Blend the ketchup well, until it is smooth. It can also be run through a fine sieve after it is blended, but I did not find that necessary. Allow the ketchup to cool completely before storing it in the fridge in glass jars. Enjoy!